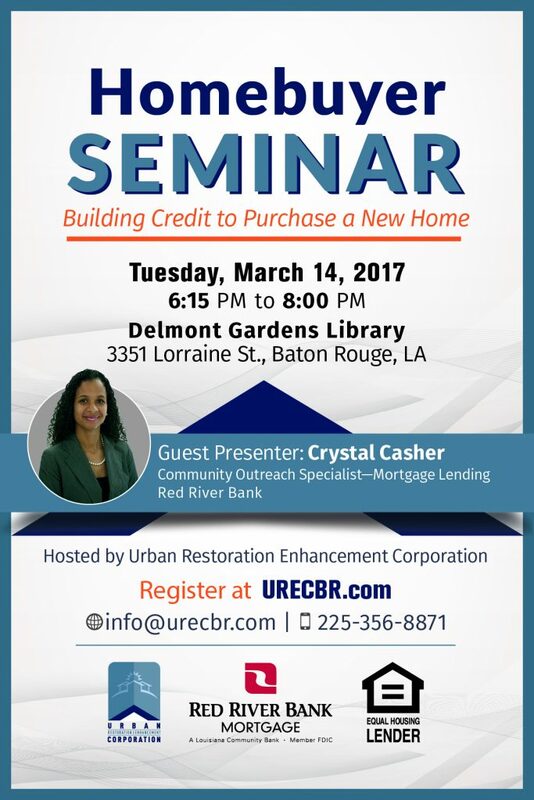 Urban Restoration Enhancement Corporation in partnership with Red River Bank will host a Homebuyer Seminar on Tuesday, March 14, 2017 at Delmnont Gardens Library, 3351, Lorraine Street, Baton Rouge, LA from 6:15-8:00PM. 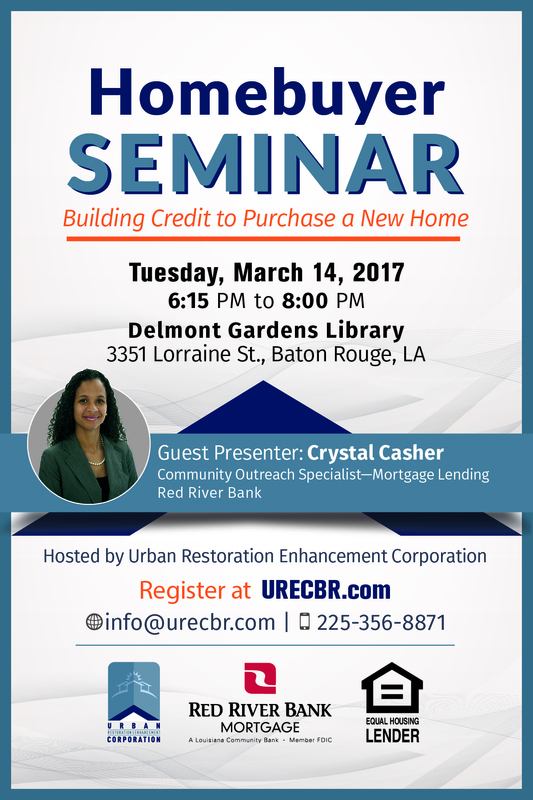 During the seminar, attendees will learn how to build credit to purchase a new home. Seminar attendees will also have the opportunity to schedule one-on-one credit counseling with a lending expert. Crystal Casher, Community Outreach Specialist, Mortgage Lending at Red River Bank will serve as the guest presenter. Red River Bank will also facilitate the one-on-one credit counseling sessions. There is no cost to attend the seminar. First time and prospective homebuyers are encouraged to register online below or here. For more information, contact us at (225) 356-8871 or info@urecbr.com.